We don’t do Nintendo development. Our previous experience with Nintendo was enough to ensure there will not be another. My problems with Nintendo are: requiring 6000 unit sales before payment, a certification process that took us 9 months and a 40mb limit. Nintendo isn’t a good platform for developers. The Wii is a toy, not a console. 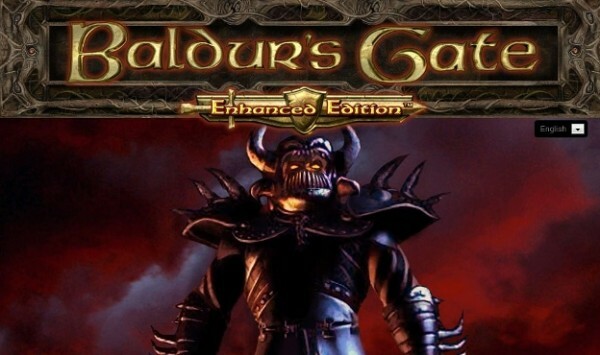 When contacted by Nintendo World Report, Oster went into more detail about why Baldur’s Gate would not be making its way to the Wii U. When the Wii first launched, I didn’t understand it. I thought it was just a gimmick. After playing with it I could see the mass appeal, but I was afraid it would be treated like a toy by the family purchasers, where they would buy the Wii bundle with Wii Sports and never buy another game. I think for a lot of the family purchases this was true and a huge number of the Wii units only ever sold one or two games. The initial third party titles didn’t do a great job with the controller implementation and I think that really hurt the perception of third party titles on the Wii as a whole. The end result was a platform where the perception was only Nintendo could make money. For the Wii U, I once again don’t get it. I’m having a hard time seeing how a tablet controller & console system is going to be revolutionary. I could be wrong, but I think the gaming world has changed irrevocably and there are now two fronts: Triple A console titles which resemble blockbuster movies and freemium/app store titles which are closer to television. The triple “A” titles cost a ton to develop and there is a market for the best of the breed, with the major brands doing huge numbers but many titles not even breaking even. The freemium/app space has everything from “assware” (my pet name for poor quality freemium titles), up to what I would compare to HBO television titles, which are high production quality and well executed games which sell in the $10-$30 price point. The PC platform bridges both models, which makes it an interesting target to develop for. To me, the Wii U doesn’t fit into either model and I see a lot of difficulty for it on either front. The app store/freemium model has redefined consumer pricing expectations, making consumers much less likely to invest $60 in a title without playing it first. The triple “A” model focuses on delivering the experience you expect at the agreed upon price, which is going to be hard to sell conceptually with a new platform like the Wii U. I wish Nintendo the best and I hope they can hit big with a major success. Oster isn’t the first to complain about Nintendo’s treatment of developers and he seems to have some noteworthy complaints; but the Wii U will hopefully be improving on the problems of the Wii. What are your thoughts? it’s still sad to hear how many developers had problems with the Wii. But it’s nice to see that Nintendo is trying their best to win the developers trust back. Snake irrevocably fails at posting. He is a total troglodyte, not a human being. Now, this is a statement that rings more than Trent’s statement. Wouldn’t you agree? I know that the requirements and restrictions have changed with the Wii U for the developers. They supposably eased up in a few areas. His reason for the PC really Does make some sense, but why his he not talking about the real comparators, xbox and PS3? And how he says this stuff, seems he never made a game for it abut claims it’s true. Why is he complaining about wii anyway? It’s sad of all these crap games the wii gets. People buy Wii sports and nothing else? What about the Super Mario Galaxy series, The Legend of Zelda: Skyward Sword, Super Smash Bros: Brawl, and the Kirby titles? Not to mention those critically acclaimed JRPG’s – Xenoblade Chronicles and The Last Story? I can understand the major flaws of the Wii, but he sells the console way too short, which is funny, because if you take a look the tweets he made after this, he said the Nintendo DS and GameCube are great platforms. So, why does he think Nintendo isn’t a good platform for developers now? The company is capable of learning from their mistakes. In fact, they have expressed it very openly after the disappointing 3DS launch. There is a good possibility they will fix and improve their online infrastructure. We don’t know if it will happen during the Wii U’s life-span, but I don’t see any real reason for developers like Beamdog to just outright dismiss Nintendo. I only know one person who had a wii and had no other games for it, just wii sports. I wish it was like the game-cube where you HAD to buy a game, maybe the parents would find out there was allot more. Could had built it in the Wii or something. 1) They knew the WiiWare requirements going in. 2) The low sales of an unpromoted remake of the sequel to an obscure 10+ year old game on the barely used digital marketplace of a console marketed to casual audiences aren’t exactly Nintendo’s fault. I fail to see the logic here. Yeah, the WIIWARE process is rough (even though green indies manage). The crap about the Wii being a toy, however, is industry kool-aid. I’m assuming the phrase “what a tool” works here, if i understand it correctly? Adding to the list of developers not to ever support. Dopes with his mentality lower the standards of the industry. There’s a reason why the NES-SNES/Genesis days are a golden age and gaming is a niche today. It’s him and those likeminded who don’t understand games, but rather the fictional game industry we accidentally created. People like him? I’m glad to keep them the eff away from Nintendo. Have fun in your HD playground. Don’t mind us expanded audience gamers. We only outnumber you 10:1. I completely agree. The golden age of games used to be about executing great ideas but nowadays people want to politicize and follow these idiotic notions on how the gaming industry should be. Its saddens me as a gamer to hear game developers make statements like these. These are the type of statements you would hear from an oblivious noob consumer of gamers. If I was a programmer working with this guy I would’ve thrown my coffee mug at him after the second meeting after yelling WHAT DO YOU WANT TO DO?!! But yea Trent.. you’re a tool but I wish the best and I hope Baldurs Gate can hit big with a major success on one single platform. Its too late, nintendo needs to back out of e3 before investors see.